When it becomes increasingly apparent that the relationship will not or is not surviving, the children feel emotionally betrayed and are hurt and angry. When a couple first separates, children will often hold on to the hope that their parents will somehow get back together again as a way of coping with the changes. Older children may be more aware of some of the problems that led to the separation but still struggle to accept that their parents are no longer a couple. Further along the line, adjusting to their parents finding a new partner or even just dating throws up all sorts of complicated emotions and needs careful handling whatever age the children are. 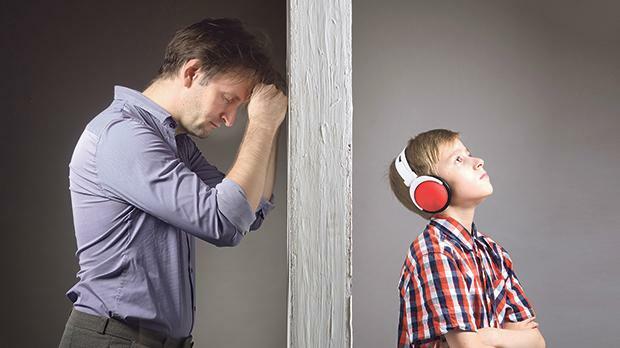 Most parents will recognise what is happening if they are tuned into how their children are feeling and good at picking up signals from them. The new partner may be head over heels in love and wants to do the right thing but simply does not know how best to play things when it comes to their partner’s child/ren. Forming a relationship with them and keeping their needs in mind is one of the biggest tensions for couples with children from a previous relationship. Each situation is unique and how best handled depends on a number of different issues: the age of the children; the relationship they have with the other parent; and the stage at which the parent and the new partner got together, and whether the new partner has children too. The new partner will inevitably get caught up in how parenting after parting works on a day to day basis. It will often feel like they are being tested and caught up in family difficulties that they would rather avoid. Meeting and then being involved with the parent’s children can be daunting. The parent will need to be supported in their relationship with the children and hopefully the partner will get along with them too but it can be a minefield. Even though a parent may have contemplated separation for years prior to informing the other parent, the news comes as a shock, even in view of a tumultuous relationship. For the children, the shock is often even greater. To intensify matters befalling the children, the parent who is emotionally further along the separation process may already have or may soon have a new ‘significant other’. If the relationship to that significant other developed prior to separation, the likelihood of the children taking to that person will be remarkably diminished. If the relationship comes after the separation, but before the children have an opportunity to emotionally and psychologically adjust, the likelihood of the children taking to the new person is also quite diminished. A parent may view the separation as an event, but to the children, the separation is a process. Children’s mourning and grieving the loss of their parents’ relationship typically takes months to years. The process is similar to the adjustment of a death and includes denial, anger, bargaining, depression and acceptance. Children cannot believe the change in circumstance. It confronts their belief that they lived in and would continue to live in an intact family. This is true even in cases where children are worried about their parents’ marriage. Worry does not equal a desire for a parental separation even if they tell you so. Worry generally means they want the parents to improve and stabilise their relationship. When it becomes increasingly apparent that the relationship will not or is not surviving, the children feel emotionally betrayed and are hurt and angry. This may be expressed directly to a parent, or indirectly through a change in behaviour. As the children sort out their anger, they may next seek to improve the parental relationship with the secret view of helping them reconcile. The children’s attempts may only be in their own head by harbouring thoughts of reunification. As their attempts are unsuccessful, the children feel thwarted, impotent and disempowered. The gravity of the situation weighs in as well as their sense of personal futility to help their parents. The children are thus depressed. Sometime thereafter, in the near or not-so-near future, they eventually might come to accept the change in family status and are amenable to moving on. Their psychological and emotional aspects are more inclined towards adjustment. Introducing a new partner prior to the children’s adjustment causes the child to recoil against the new partner. The new partner is seen as a threat to the children’s secret wish for the parents to reunite. To intensify matters, the degree to which the new partner is thrust upon the children, the greater the children’s recoil and resentment. Thus while the parent cannot understand why their children won’t accept or act meanly towards the new partner, the children are simply coping with an assault to their adjustment process. The children are not far enough along the adjustment process to tolerate the introduction of any new partner, regardless of the qualities that partner brings. Demands for the children’s respect or obedience to the new partner only makes matters worse and runs the risk of a life-long fracture, not only between child and potential stepparent, but between the child and that parent. To minimise the risk of these conflicts, parents are advised to wait to form new relationships until after the children have adjusted, easily over a year post-separation. If a new relationship has been formed prior to the children’s adjustment, it might take the children at least a year to several, before the children are fully able to accept this new partner. Early introductions need to be resisted as is cohabiting within the first year so the risk of the children feeling overwhelmed and confronted by the change is minimised. The new partner needs to resist assuming a parental role until the child has adjusted to the parental separation. If things go too fast, too soon, there might be serious consequences. It might benefit the new relationship to slow down. Adjustment takes time. New relationships post separation have an impact not just on the parent and the new partner but also on the children and the ex. Everyone’s perspective will be different and it’s useful to be aware that what is an exciting time for the person starting a new relationship can be a hugely unsettling time for the other people involved. Knowing that the ex has a new partner can be quite upsetting and shocking to the ‘hurt’ party. It can be a big setback and it would be helpful to call on all their resources, friends and family to give support in adjusting to this new development. Understandably, thoughts on how the new relationship will impact on the children will be foremost. Carmen Galea works as a school counsellor at the St Paul’s Bay primary school as part of a project run by the Blossom Foundation and The President’s Trust. She is a founding member and currently the treasurer of Home-Start Malta. She was president of the Malta Association for the Counselling Profession for seven years and membership chair of the International Association for Counselling for five years.